It all begins with a father telling a story to his son on Christmas Eve. But this isn't your typical Christmas story. The father admits to his son that he's taken a life but he won't say whose - not yet. One week earlier, in a hospital late at night, the man met a five-year-old girl with cancer. She's a smart kid - smart enough to know that she won't beat cancer by drawing with crayons all day, but it seems to make the adults happy, so she keeps doing it. The number-one New York Times best-selling author of A Man Called Ove shares an irresistible and moving collection of heartfelt, humorous essays about fatherhood, providing his newborn son with the perspective and tools he’ll need to make his way in the world. From the "Dickens of our age" (Green Valley News) and New York Times best-selling author of Beartown and A Man Called Ove, a heart-wrenching story of how loyalty, friendship, and love carry a town through its darkest days. After everything that the citizens of Beartown have gone through, they are struck yet another blow when they learn that their beloved local hockey team will soon be disbanded. What makes it worse is the obvious satisfaction that all the former Beartown players, who now play for a rival team in Hed, take in that fact. Amidst the mounting tension between the two rivals, a surprising newcomer is handpicked to be Beartown's new hockey coach. Soon a new team starts to take shape around Amat, the fastest player you'll ever see; Benji, the crazed lone wolf; and Vidar, a born-to-be-bad troublemaker. Bringing this team together is a challenge as old bonds are broken, new ones are formed, and the enmity with Hed grows more and more acute. As the big match approaches, the not-so-innocent pranks and incidents between the communities pile up, and hatred grows deeper. When the last game is finally played, one of Beartown's key players will be dead, and residents of both towns are forced to wonder whether, after all they've been through, the game they love can ever return to something simple and innocent. Us Against You is a declaration of love for all the big and small, bright and dark stories that form and color our communities. 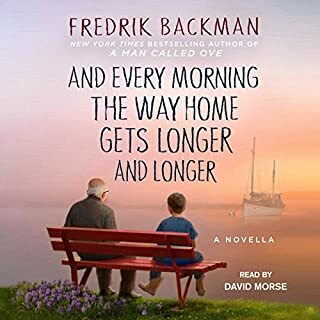 Compelling and heartbreaking, it's a roller-coaster ride of emotions with Fredrik "Backman's pitch-perfect dialogue and an unparalleled understanding of human nature" (Shelf Awareness). 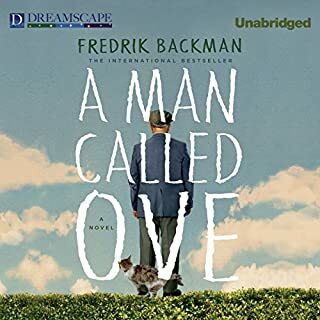 With the same empathy and awareness, Backman has crafted another great read. I would encourage one to read Beartown first and follow up with Us Against You. This is the fifth novel of Backman’s that I have read. Beartown , Us Against You, and A Man Called Ove, are my favorites. I am continually impressed with the author’s ability to craft his characters. One feels as if she knows these people, and there are many. 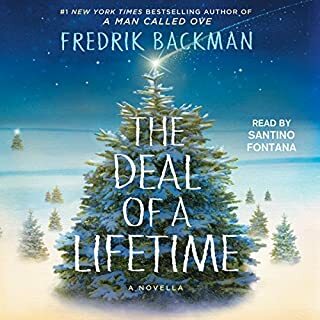 Backman is able to have the multiple facets and characters of the story remain as independent tales, yet all of them coalesce into one epic story. I love the characters he builds, and how he allows them, or doesn’t allow them, to grow and change. Characters from the Beartown novel are integral in this novel, and other characters from the first book become the newer story. I learn to care about the new characters as much as I did the older ones. It’s just a great read and well worth the time and energy. I hope there are more stories in this series. 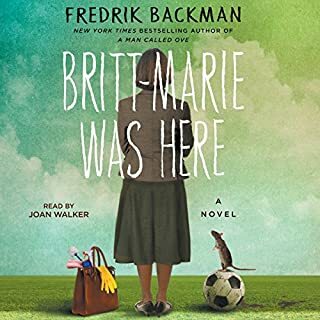 I’m becoming a huge fan of Fredrik Backman, he writes complicated and interesting characters and stories that challenge my thought processes. I feel so connected to the people of Beartown. For most of this book I feared none of them would get the happy ending they deserve and it was torture. In the end, I still feel like I want to know more of their stories but am okay with where they are. This book wasn't as great as book 1 for me but it was still very good. I think this one focused a lot more on the hockey. Not to say that that is a bad thing. I loved knowing what happened next for most of the characters from book 1 and the introductory of a couple new characters too. This book has a few sad parts too. 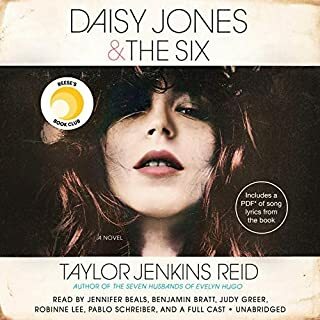 I am so glad I grabbed this audiobook right when I finished Beartown because I feel like I got the whole story. Loved know where everyone will be in 10 years and seeing how much some of these characters grow. The narration was great but I will admit that I don't think they ever say where exactly Beartown is but I know it's outside the US and I think an accent would have worked better. Every time she said kroner I was reminded of this. This is probably my least favorite Frederik Blackman book. I don’t know if it’s the subject matter or the story itself. Beartown was a tad better but I certainly didn’t think it required a part two. I read/listened to Us Against You just because. And now that it’s behind me, I’ll never listen to it again. This book and the first in the series, Beartown are two of my favorite books of all time. The story, writing style, characters and narration are sensational. I couldnt stop listening while simultaneously dreading the moment the book would end. What happened??? I LOVE all of Fredrick Backman's novels. I don't even like hockey and Beartown is one of my all time favorite books. After I read Beartown I said I didn't want to read anything until I could read the sequel to Beartown. Well now I have and I want to know, what happened?!?!? The writing is in no way on a par with Beartown or A Man Called Ove or any of his other books. It repeats sentences over and over and over and over and over and over and OVER!! The same sentence, the same sentiment, over and over and over and over and over and over and over and OVER. I was listening to this as an audio book, so perhaps it was worse because I couldn't skip over the words, We Will Look back on this and remember violence, we will think this story is about violence, but it is also a love story.... we will think violence came to Beartown, but it was already there, Hockey is hockey, hockey is always fair, hockey is always unfair.... I mean, FOR THE LOVE OF GOD, please do not repeat sentences and sentiments over and over and over and over. That is not how you write Fredrick Backman! Of course I am going to be waiting for the 3rd in the series, and I will read or listen to it, because I am vested in these characters, and I hope you skip all the repetitiveness next time around. I know you are sad, I know that this book was way to sad and violent for some, but for me, it was the constant repeating that did me in. This book, the follow up to Bear Town, is so much more than a hockey novel. If you haven't read/listened to this or any of Fredrick Backman's other novels, I highly suggest them all. I have loved everything by Fredrik Backman. 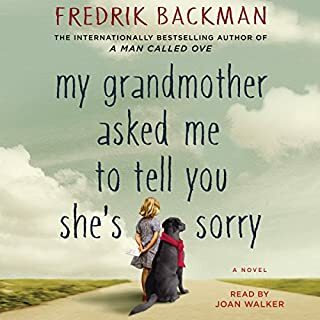 In fact, when someone asks me who's my favorite author, which is impossible to answer, I list Fredrik Backman right up near the top. But this book was simply painful to listen to. I wondered to myself just what deep dark world Mr. Backman had fallen into when he was writing this. Talk about everybody in the book being depressing creatures. With about 6 hours left, I was wishing an atomic bomb would drop on Beartown and annihilate everyone. After all the wonderful adventures he gave me, like "A Man Called Ova, Britt Marie Was Here", etc, I had to give this three stars but I'm not sure I liked it even that much. The reader is great. I like Marin. The follow up to Beartown was a disappointment for me. This is his latest title, and I’ve read them all. I became attached to each character in Beartown, and Backman brought them all full circle in this novel. The narration was perfect, and helped me connect so personally to this story. Backman’s writing style is fresh and clear, each word chosen with a purpose. Please write another story...soon!! 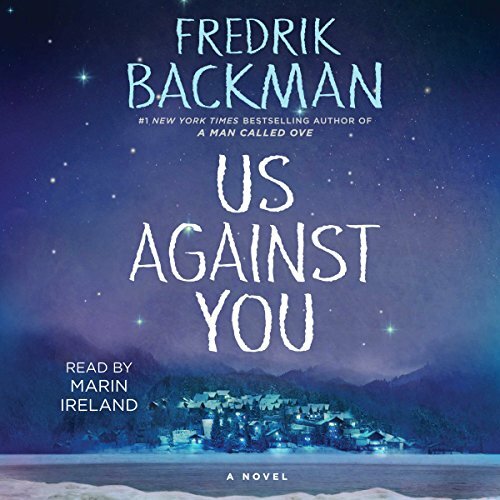 Us Against you picks up where Beartown left off, and while it doesn't quite reach the heights of its predecessor, it is a worthy addition to the series. Anyone who liked Beartown will be satisfied with Us Against You. I've heard some refer to Beartown as a masterpiece. I'm not sure if I agree, but I'm not sure if I disagree either. Beartown is one of the best books I've listened to this year. Us Against You is one of the better books I've listened to this year. The series is definitely worth the time and credits, even if you don't know the first thing about hockey. The series is about much more than just sports. The narrator, Marin Ireland, narrates both novels and is fantastic. She has become one of my favorites.